REP. DENNIS J. KUCINICH, D-OHIO: Thank you very much for being here. At this time, I’m happy to take any of your questions. QUESTION: Congressman, at this point do you have any other — any fellow members support this? KUCINICH: At this very moment, the resolution is being transmitted to members of Congress. Because this resolution is so weighty in its import, it’s going to be important for members of Congress to have sufficient time to study the articles. This is unlike any other type of legislation or resolution. This is not something that you can ask anyone to make a snap judgment on. It took me a while to come to this point. And I would expect that members of Congress, given the opportunity to review these articles, will be able to come to a conclusion consistent with their own concerns and the concerns of their constituents. QUESTION: But at this point, you stand alone, at this point? KUCINICH: At this point, I believe that I stand with millions of Americans who have expressed concern through their state legislatures, through petitions to Congress, through contact with their members of Congress, that something has to be done to reclaim our country’s goodness, to reclaim a government which the American people want to be honest, want to be just. And so I do not stand alone. I have multitudes of people backing this. QUESTION: (OFF-MIKE) Chairman Conyers to look at this? KUCINICH: I will discuss this with Chairman Conyers, now that this has been introduced, and I will ask for his consideration. And I will communicate this to all members of the House and ask them to give it the kind of thoughtful consideration that it deserves. KUCINICH: I might point out that — that when you read the annotations here, you will see that everything that has been said in these articles has been carefully documented. In fact, I would imagine that some of you have even reported some of the statements, although perhaps the statements have not been challenged in this way until now. KUCINICH: The question relates to why I’m bringing the articles of impeachment against Mr. Cheney, and not Mr. Bush. Is that it? QUESTION: Why solely Mr. Cheney? KUCINICH: Well, there’s a practical reason here. And the practical reason is — first of all, I want to say that each and every charge against Mr. Cheney relates to his conduct or misconduct in office. Now, with respect to the president. 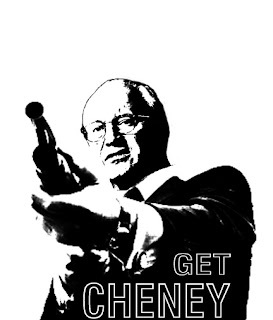 I think that it’s very important that we start with Mr. Cheney. Because if we were to start with the president and pursue articles of impeachment, Mr. Cheney would then become president. It’s significant and responsible to start in this way, because if the same charges would relate to the president as relate to the vice president, you would then have to go through the constitutional agony of impeaching two presidents consecutively. KUCINICH: Well, actually — I’ll wait until that truck goes by here. Let me tell you the difference. The difference today is that this vice president is actively encouraging aggression against Iran. It is urgent that Congress take steps to check the abuse of power. And that’s what this impeachment resolution will do. KUCINICH: There is no comparison whatsoever — in any way, shape or manner — between these articles of impeachment and the articles of impeachment which were presented to the House of Representatives in 1999. In fact, these articles of impeachment are deeply researched, will stand up in a discussion in the House and in the Senate. And I believe that they are — that they’re imperative to bring forth right now because the threat of war against Iran is very real. And this vice president cannot be permitted to continue to violate both the U.S. Constitution and the U.N. Charter. QUESTION: Congressman, you’re running for president. Are you hoping to get the others (OFF-MIKE)? KUCINICH: Each person has to — each person will have to make his or her own decision. This goes beyond partisan terms. This is being done to defend our constitutional system of government. This is being done so that all those of us who took an oath to defend the Constitution of the United States can understand that this impeachment is one valid way in furtherance of the defense of our Constitution. I don’t see this as being distant from anyone, in any capacity in our government. Everyone must reflect on this. Years from now, people will ask, “Why didn’t the United States government respond when they saw this threat to our democracy? Why didn’t people inside the government respond?” if this doesn’t move forward. And so this really isn’t so much, I might add, about the vice president as it is about who we are as a people. What is it that we stand for? What kind of government do the people of the United States expect and deserve? KUCINICH: It’s not appropriate for the government to lie to people. It is wrong for government officials — you know, the vice president, in this case — to take this nation into war based on lies. QUESTION: Congressman, Speaker Pelosi has said on more than one occasion she’s not interested in impeachment. KUCINICH: No, I have not discussed this with Speaker Pelosi. It’s imperative that America stand for the truth. It said in the Bible, “You shall know the truth and the truth shall set you free.” Well, let then these articles of impeachment help set our nation free from the lies that have enveloped our governmental process, the lies that are trapping us still in a war in Iraq, the lies that could take us into a war against Iran. This is about the truth. QUESTION: Congressman, it’s been said by some pundits that you’re just introducing these articles to gain publicity for your presidential campaign. What do you make of those allegations? And do you think this is going to help you out in your race for the presidency? KUCINICH: These articles are about the conduct of the vice president of the United States, that he deceived the people of the United States to take this country into a war, that he continues to exhibit a pattern of conduct that could take this country into another war based on false pretenses. That’s what this is about. KUCINICH: And I believe that the people of this country are demanding that someone stand up and anyone has been free to do this. Anyone in the House of Representatives could take similar action if they so choose, or could take action against the vice president or the president. QUESTION: Pelosi says it’s not going anywhere. KUCINICH: Have you talked to her today? KUCINICH: Then I would say I have not talked to her. And as much as I admire the speaker, as much as I voted to support her, I feel that it’s my obligation as a member of Congress to introduce these articles of impeachment. And I believe the American people will be the final arbiters as to whether or not these articles should go forward. “Meet the Press,” May 19th: “But we know Saddam has resumed his efforts to acquire nuclear weapons.” “There is no doubt he’s amassing them against our friends, against our allies and against us.” August 26th, 2002. This vice president was a driving force in trying to create the circumstances to justify the United States’s attack against Iran. And he not only deceived the people of the United States, and the Congress of the United States, he deceived the American media. KUCINICH: And so these articles are tightly focused on the conduct of the vice president. And to the extent that they may reflect in some way on the conduct of the president of the United States, is another matter for another day. KUCINICH: I think the record is very clear, that this vice president used his conduct of office to promote a war and Article I and Article II are very clear that he conducted himself in such a way as to use the power of his office to promote that war. And so this relates to the vice president. And I think I answered the question earlier about why the vice president and not the president. Anyone else? I want to thank you very much for being here. QUESTION: Do you have anyone you would identify as a replacement? If Vice President Cheney were impeached, it would have to be voted on the House and the Senate for confirmation. KUCINICH: That would be up to President Bush.